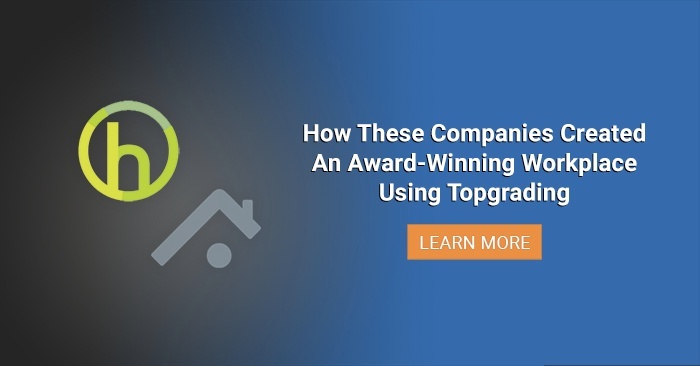 When I heard that founder and former-owner of Mint.com, Aaron Patzer, had used the Topgrading methodology to hire his team, I knew I had to have a chat with him. Only a mere 2 years after launching (in 2007), Patzer sold Mint.com to Intuit for a cool $170 million. He attributed some of his success to Topgrading, so I asked him to get specific and share his story with us. Obviously I’m not suggesting that all it takes to build a successful company is hiring the right people. There are a lot of other factors involved, but hiring the right team is akin to setting the right foundation — because a good foundation can withhold a lot. For Patzer, hiring the right people meant having confidence in his team and the capabilities of his company. However, finding the right people wasn’t easy. It meant asking for recommendations from investors, friends and trusted advisors. That feeling of certainty is a luxury not many managers in companies have! Because as we know, we don’t always get the A-Players even if we’ve done our due diligence in hiring. Like most success stories, Aaron Patzers’ past is peppered with determination and hard work. He grew up in Indiana and by age six, he was already tinkering with computers. By 16, he had self-taught himself enough to design websites that paid for his school tuition. Patzer later graduated Duke University in Computer Science and Electrical Engineering, dropped out of a PhD. program at Princeton and received a MSEE instead. After a short stint in IBM, Patzer realized if he wanted to have ‘fun’ in his job in the near future, he’d have to find a place that didn’t promote people based on their seniority. This prompted a move to join a startup as a developer, which then lead to him interviewing potential candidates on the phone. 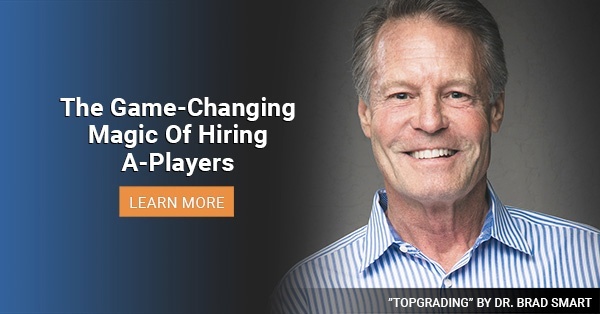 Determined to upgrade his interviewing skills so he could hire better candidates, Patzer picked up a copy of “Topgrading: How Companies Win by Hiring, Coaching, and Keeping the Best People” (2005). Patzer says that Topgrading helps to identify patterns in human behavior. Our Interview Guide dives into a candidate’s education years and investigates a person’s career by asking about every job — successes, failures, bosses, boss appraisals and reasons for leaving, in chronological order. “I figured if a candidate says his/her last three bosses were jerks, then the problem might just be with them and not their bosses,” he recalls. Patzer really “got” the power of gleaning patterns and the importance of asking “why?” 1,000 times. He used the TORC (Threat of Reference Check) Technique and asked finalists to arrange reference calls with past bosses. While this helped him hire better candidates for the Startup that he worked for, he was still a 25-year-old, working 75 hours a week. Spending additional hours trying to manage his personal finances using Money or Quicken was just frustrating. 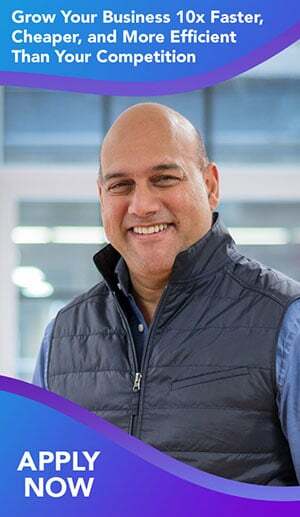 So he did what any self-driven individual would do — he decided to create his own personal finance software! Soon after he launched Mint.com. His service had to convince customers to give their personal, bank and credit card details to a brand new company they new nothing about. This would cause anyone a little bit of stress. But Patzer had an ace up his sleeve. He already knew how to hire A-Players. How Did He Topgrade Mint.com? Patzer says Topgrading was “over 90 percent effective in identifying people who worked out and worked well,” at Mint.com. Citing Topgrading as “the best business book I’ve read,” he instructed his managers to read it as well. Aaron Patzer makes assembling a team of outstanding performers look easy. Just by reading the book, he became a “do it yourself” Topgrader — without even attending one of our Topgrading Workshops. Patzer is clearly an A-Player himself. To sum it up, in 2007 Patzer started hiring people for Mint.com, and in 2009 he had 40 employees at the time he sold it to Intuit for $170 million. It’s no doubt that Mint.com offered and delivered a great service to its users, but having a team of A-Players certainly played a part to sweeten the deal with Inuit. No one wants to invest in a messed-up team, no matter how much great work a company might be offering. Aaron Patzer now lives in New Zealand and started Vital Software Ltd. in 2017. Do you have your hiring success story to share? We’d love to hear it — share it in the comments below and inspire other entrepreneurs.